IT Centre (formerly Wanaka Computers) has been supporting, training and advising local businesses and home users for 14 years. We understand everyone’s IT needs are different. So we tailor our services to ensure you get exactly the support you need, when you need it. IT Centre provides comprehensive, cost-effective advisory and technical support to ensure your business gets the best out of its IT. Starting out or setting up? Get your home networks, devices and smart appliances connected with our IT HomeSmart service – so you’re good to go for work or play. Our tailored IT set-up package for new businesses will get you up and running without the hassle. With our Free 1-hour consultation we will put together a recommendation specific to your needs. 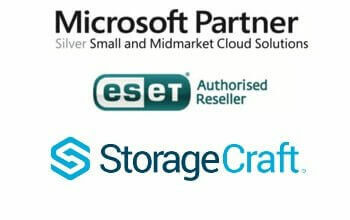 We can take care of your data backup, storage and synchronisation with our managed cloud service. It’s a versatile, secure solution that lets you access information anywhere, anytime. Our advice and training will ensure you’re getting the best value from your IT investment. We help with business continuity and disaster recovery planning, and can recommend policy to keep systems and data secure. Take advantage of our supplier agreements and technical expertise to purchase and install your hardware & software, and business telephony. Keep your systems running smoothly with our Managed IT Service. We provide a tailored package to cover backup, maintenance and monitoring with skilled technicians just a phone call away. Protect your business data and ensure your network & internet are safe with our centrally managed or standalone security software.